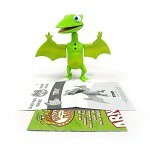 Tiny Pteranodon InterAction Figure is based on the iconic character from Jim Henson's Dinosaur Train television series! SmartTalk technology gives Tiny the ability to recognize and interact with other dinosaurs in the line. 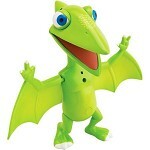 Press her button, and as she shares tons of fun dino data!